January 27, 2016 is Multicultural Children’s Book Day (MCBD). This two-year-old initiative, started by founders Mia Wenjen and Valerie Budayr, has achieved tremendous success and online support for diversity awareness by putting thousands of free books into kids’ hands. Last year on January 27th, Multicultural Children’s Book Day, they — along with support from corporations, teams of bloggers, teachers and librarians — made multicultural book news trend on Twitter at #ReadYourWorld. Visit www.multiculturalchildrensbookday.com for resource lists of thousands of books and activities focused on learning more about diverse cultures and issues, with topics including Teaching Compassion, Mixed Race Celebrations, Combating Racism, Immigration, Islam, Selecting Diversity Board Books, Activities for the Day of the Dead, and Celebrating Chinese New Year. There are also books lists about cultures in every corner of the world and that tie into our daily news headlines. Here are our picks for great multicultural reads for kids. Introduce kids to the history of racial tensions in the U.S. with the simplicity of Martin Luther King, Jr.’s famous text. The book comes with an audio CD so kids can listen to Dr. King’s speech and follow along. The beloved song from the Disney World ride makes a perfect jumping off point for talking about diversity. Bright, stylized illustrations depict people of all races and cultures happily going about their business. You can also sing along together with the CD recording and download the related activity kit. Count your way around the world with My Granny Went to Market. Kids will enjoy tagging along with grandma as she takes an unforgettable, international shopping journey. 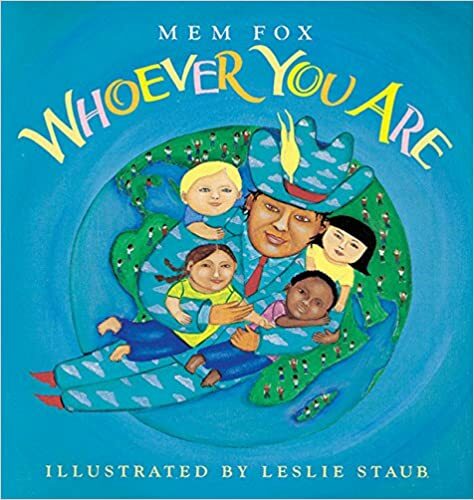 Australian author Mem Fox’s joyful picture book reminds kids that we are more alike than different. “Joys are the same, / and love is the same. / Pain is the same, / and blood is the same.” Beautiful images captivate and stay in tune with the lyrical quality of this prize-winning gem. 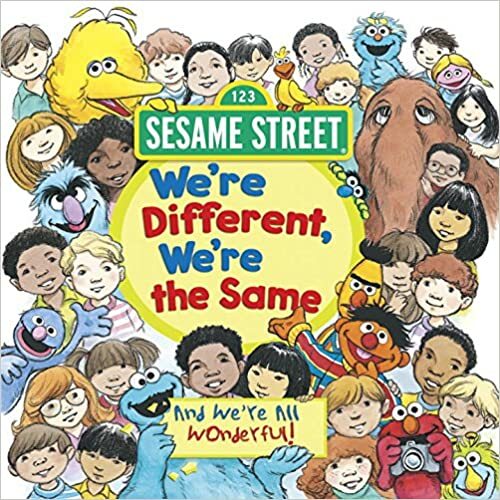 The fun-loving and friendly gang from Sesame Street compare their interesting physical features — from Big Bird’s size to Elmo’s big orange nose — and realize that though we may be very different, on the outside, we’re very much alike on the inside. People come in all different skin shades — cocoa, tan, rose — and how boring the world would be if we all looked exacly alike. 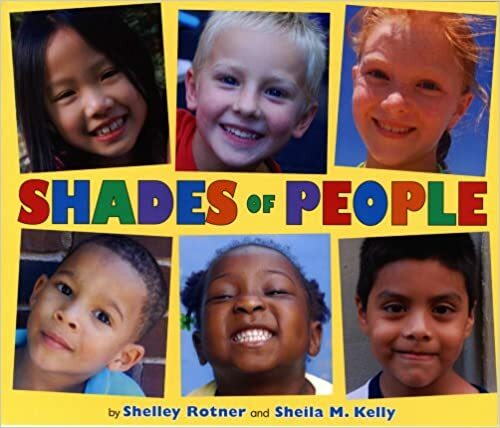 This book celebrates different skin shades with vibrant photographs of childen and a short text to inspire young children both to take notice and to look beyond the obvious. 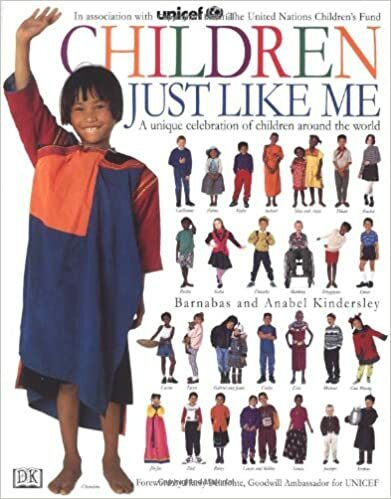 This gorgeous celebration of children around the world was published to coincide with UNICEF’s fiftieth anniversary. Based upon interviews with young people from every corner of the world, kids can learn more about their peers’ daily life, traditions and dreams.